Looking for methods to download TikTok videos (or Musical.ly videos)? TikTok is now an eye-catching video app for both Android and iOS. As one of the largest short-form video sharing platforms, this video app has predominated the social media video culture all over the world. 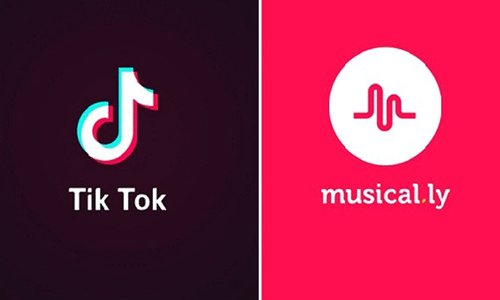 If you want to learn more about the app and how to download TikTok videos, then don’t miss this post. 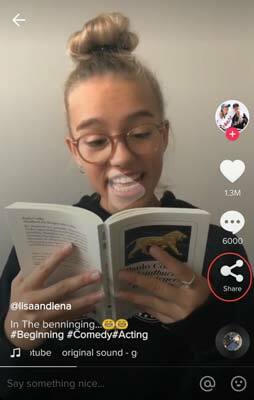 It is known to all that TikTok is such a video community for those video crazes. But in fact, TikTok is previously known as Musical.ly, a social media platform mainly used for short video sharing. Released in 2014, Musical.ly was developed by a Chinese company and operated by a team in California. As a versatile video app, Musical.ly soon won teenager’s heart in the U.S. market and became popular in more than 30 countries in the following years. Then the app reached 200+ million users in May 2017. After that, Musical.ly was sold to another Chinese company, Bytedance Tech. In August 2018, the app was merged into TikTok, a popular short video sharing app named Douyin (抖音) in the Chinese market at that time. And now Musical.ly keeps its most of the features but is titled as TikTok - including musical.ly. Now over 500 million monthly active users create interesting MVs on TikTok every day. 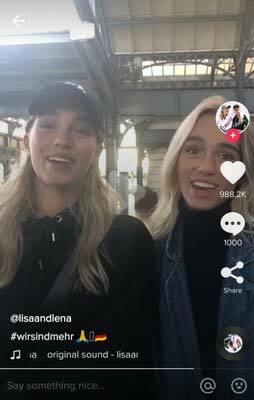 And the Top TikTok Accounts are updated from hour to hour by those celebrities with over 10 million followers, like @lisaandlena, @lorengray, @babyariel, etc. TikTok has won most of the app markets, especially in America, Japan, India, Indonesia, Germany, Brazil, etc. Part 2. Why Do You Want to Download Videos from TikTok? 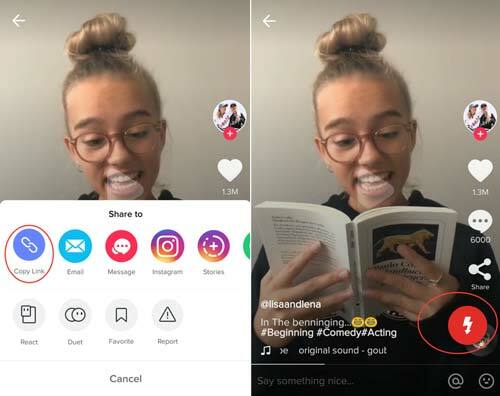 As the top live streaming and video sharing platform, TikTok allows users to create and publish a video within 60 seconds each time. Users can record their videos instantly within the app and edit them with a rich collection of effect, filters, and music. But they can’t download the video materials from the International version of TikTok. Need to re-edit TikTok videos with some other apps. Get back what they have uploaded to TikTok but lost the original video files. 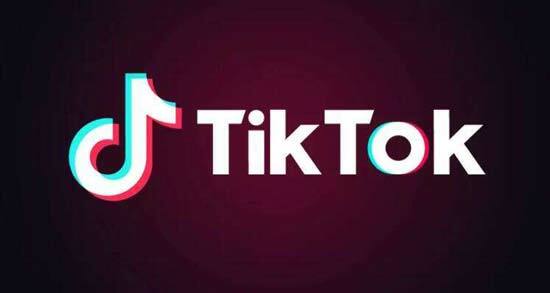 Store interesting Tik Tok videos as collections for their hobby. Want more control over data usage due to their limited data plan. Repeatedly consume TikTok videos but affected by the unstable network may affect the viewing experience. Download TikTok videos for other personal reasons. All of the above are the reasonable ways to make use of the TikTok video materials for most of the viewers. So, are there any good ideas to help to save TikTok videos to phone? Here we’ve prepared top 5 ways to save videos from TikTok to your gallery or camera roll. Step 1. Install InsTube TikTok video downloader to your Android phone and launch it. Then open TikTok and go to the video you’re going to download. Tap the “Share” icon from the right of the screen. Step 2. Tap the “Copy Link” icon from the popup menu. Then you will see a red “Download” button appearing on the screen. Tap it. Step 3. Choose the video resolution and tap the “Fast Download” button to confirm your TikTok video downloading. After that, you can check the downloaded non-watermark TikTok video in your Android gallery or in the file manager. In fact, you can also use InsTube video downloader to download videos from YouTube, Vevo, Vimeo, Facebook and more to your Android phone. You can easily get the APK via App stores like Uptodown.com from or the download button below. 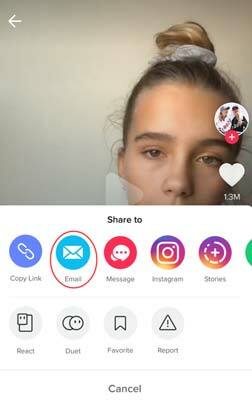 You can also download TikTok videos via the Email option in the share menu. Step 1. Tap the “Share” icon and select the “Email” option. Step 2. Log in your email and type a video-receiving address (or another email address of your own) into “To” and “From” section. This means you will send a TikTok video to yourself. Step 3. Go to the “Inbox” of the receiving email account. Check and download the TikTok video. Note: You may need to configure the email account if it is the first time you to log in “Email” on your phone. It is recommended to send the video to the address account you currently log in with. Step 1. Sign up your Tik Tok account. Go to the “My Account” tab by tapping the icon on the bottom right corner. Step 2. Scroll the screen and choose the video you want to download. Step 3. Tap the “More” icon in three dots on the right of the screen. Then tap “Download” button to save your created TikTok video to your gallery. You can get back your lost local videos with this method, but the downloaded video has the TikTok watermark at the upper left corner. 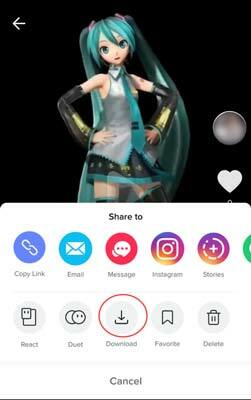 TikTok video app in Chinese version comes with the download feature, which enables you to directly download a creator’s video via the “Share” button. For iOS users: Change the VPN and sign up the app store with the local account. After that, restart the app store and search for “dou yin”(抖音) to download the Chinese TikTok version. For Android users: Go to the official site of the TikTok Chinese version, and then download the APK or scan the QR-code directly from the site. It is also a good idea to download TikTok videos with the URL. 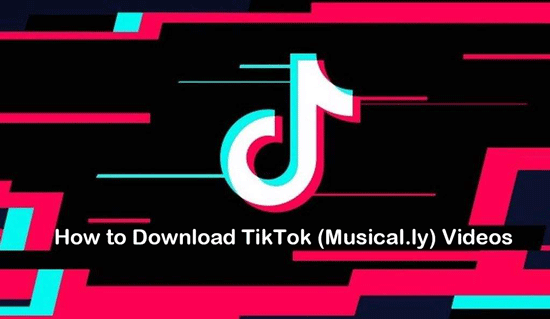 If you have had a TikTok video link, you can copy and paste it into the search bar of some Musical.ly video download websites. Step 1. Paste the video link to the bar and tap (or click) the “Download” button. Step 2. Tap or click the “Download Now” button beside the video previewer. Step 3. 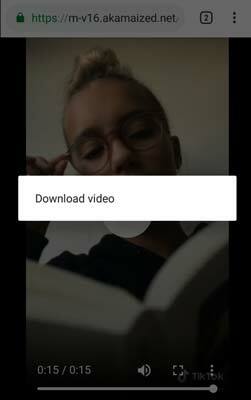 Long press the screen until it shows “Download video” (or right click to select “Save video as…”) to choose a folder to store the Tik Tok video. What are your favorite ways to download TikTok short videos? Generally speaking, downloading the video with InsTube video downloader is the fast way to save video from TikTok app. And other four methods may cost lots of your time to get the video downloaded. It is too tedious and annoying to download a video by typing, searching or pasting something. So, why not save your time and download videos from TikTok in just one-tap? That’s it. All of the above are the top 5 ways of how to download videos from TikTok. If you think we’ve missed some useful solutions, please comment below to share with us. Thanks for visiting Instube blog. 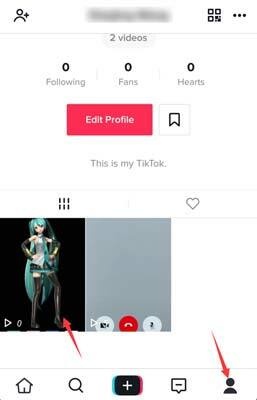 To learn more about Musical.ly or TikTok videos, please see HowTo section on this site.